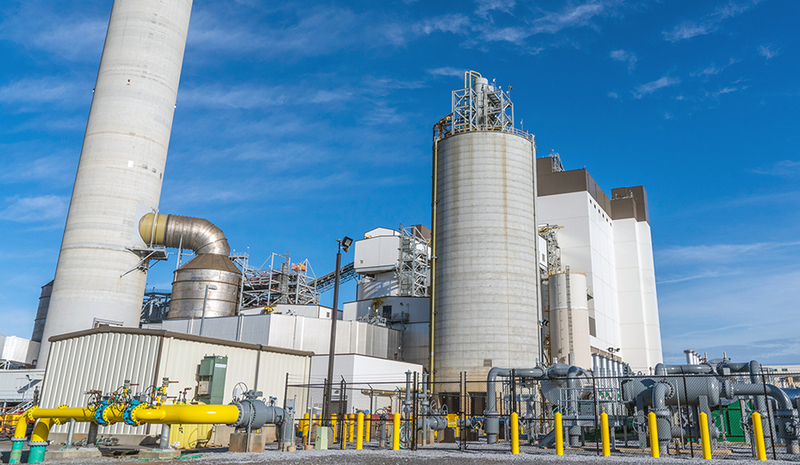 Duke Energy has added natural gas to its coal units at Rogers Energy Complex in North Carolina to generate cleaner energy and diversify its fuel mix. Adding natural gas co-firing (also referred to as dual fuel optionality) means both units can operate on coal or cleaner natural gas. That helps the company add solar and other renewables to the grid since natural gas-generating units can respond quickly when the sun isn’t shining. The co-firing units are part of the company’s plans to reduce carbon dioxide (CO2) emissions 40 percent from 2005 levels by 2030. Since 2005, Duke Energy's CO2 emissions decreased by 31 percent. The ability to operate coal units on coal or natural gas is good for customers and the environment. Customers save when the company takes advantage of lower natural gas costs. And the flexibility and cost savings by operating the units on natural gas are achieved at a lower capital investment than building a new combined-cycle natural gas plant. Out of several thousand coal units in the United States, this is one of about a dozen similar projects. 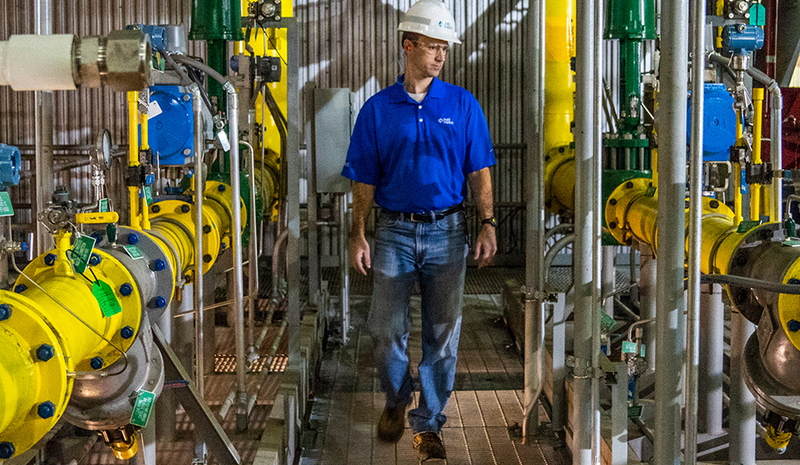 Program manager Brad Rudolph inspects control valves. The valves adjust natural gas going into the plant to regulate the steam produced from the boiler used to generate electricity. "Natural gas gives us more flexibility on these existing coal units to be able to look forward and adapt to a changing utility industry," program manager Brad Rudolph said. The company has added natural gas infrastructure to co-fire up to 40 percent natural gas on unit 5 and up to 100 percent on unit 6. Carbon dioxide emissions will be reduced by about 40 percent (per megawatt-hour) since natural gas burns more cleanly than coal. The units in Rutherford and Cleveland counties west of Charlotte have a net capacity of 1,388 megawatts, enough to power about 1.1 million homes. 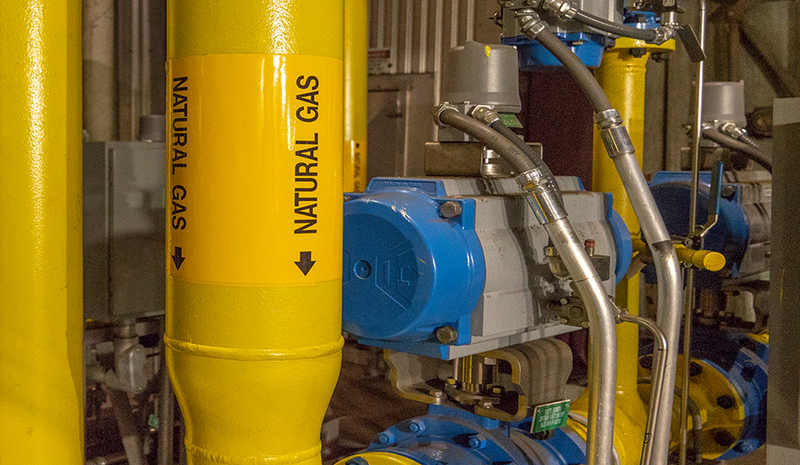 From the control room, these valves are operated when natural gas burners are placed into or removed from service. The unit can operate on any percentage or mixture of coal or natural gas. 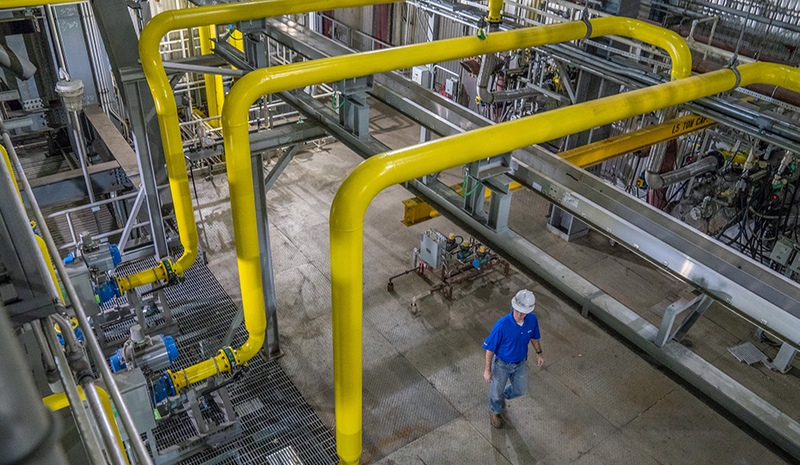 Natural gas pipelines feed 30 burners inside the unit 6 boiler, allowing the unit to run up to 100 percent on natural gas. This $65 million upgrade at the Rogers Energy Complex is part of Duke Energy’s strategy to reduce carbon emissions by 40 percent from 2005 levels by 2030. Similar projects will begin soon at two other coal-fired power plants in North Carolina, the Belews Creek and Marshall stations.